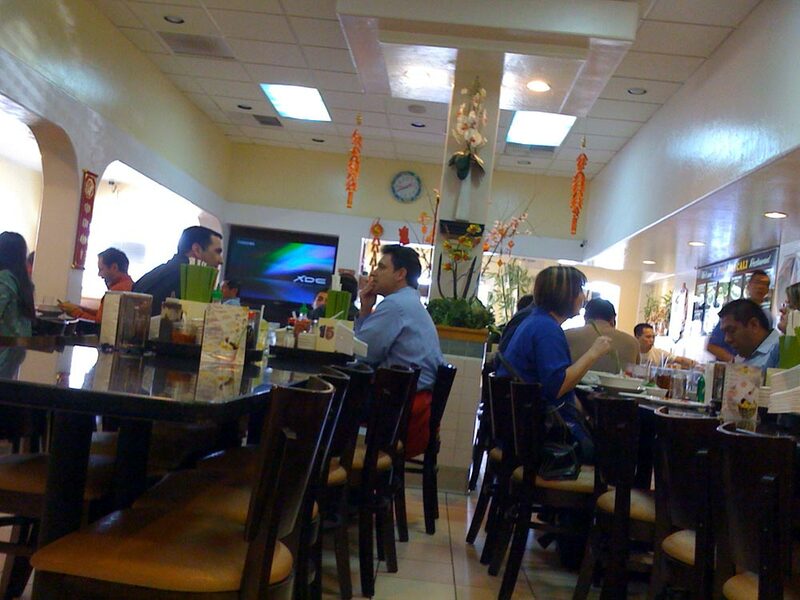 I had lunch with Mason at Pho HoaCali Express in Mira Mesa the other day (1-28-09). Wednesdays at 1pm seem like good choice for our schedule. We had our usual fix: pho tai (rare beef) for Mason and pho tai chin sach (rare beef, well-done brisket, tripe) for me. 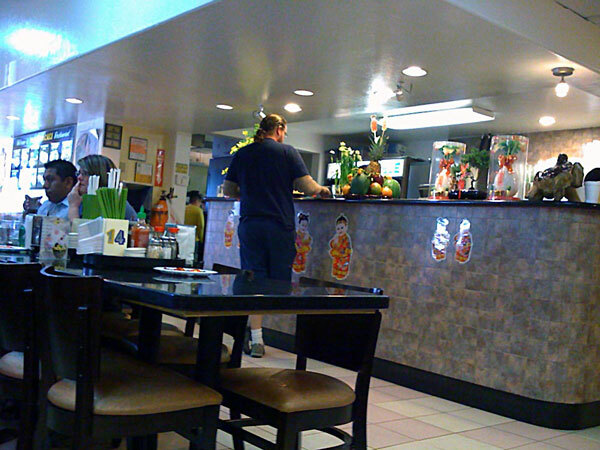 Express is a reliable pho place in North County San Diego for many years. Clean, airy, well lighted, and good service. There's always a line during lunch times and on the weekends, so just write your name on the list and after a short wait, you're in. On this day, even after 1pm, we waited 5 minutes. No big deal. 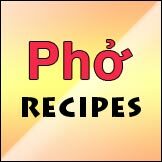 I think Pho HoaCali Express was one of the first pho restaurants that ventured north of the Kearny Mesa/Convoy area in the late 80's. 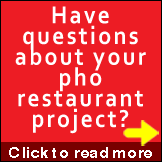 According to Pho HoaCali Express website, "In 1989, Pho HoaCali Express opened the first restaurant at University Avenue in San Diego CA. 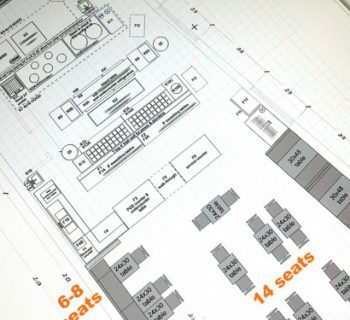 With the customers feedback that parking was a big hassle, we moved to the Mira Mesa blvd in San Diego’s location." I think with all the Vietnamese professionals making better money and moving north of Kearny Mesa, Pho HoaCali Express made the correct decision to go north. Now they're attracting a large clientele from the Filipino community as well. It's always good to catch up with Mason. We shared our experience on website design, web marketing, some photography, etc. 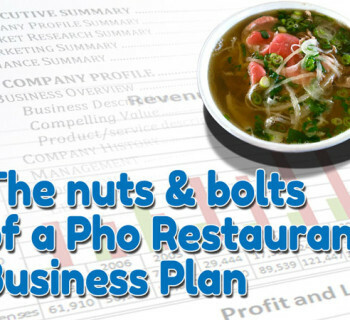 It was great just to relax over a couple of bowls of pho. And since he's getting ready to move to San Francisco, we were chatting about jobs and other opportunities in the Bay area as well. 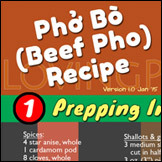 Pho tai, chin, sach (beef: rare, well-done brisket, tripe). Garnishes: extra points for fresh ngo gai (2/5), a little more ngo gai would be nice. Price: Baseline ($5-6), no extra points or deductions. 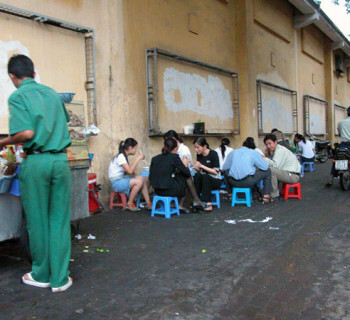 Extra points: 3 for clean dining area, airy and light ambience, good reliable service. 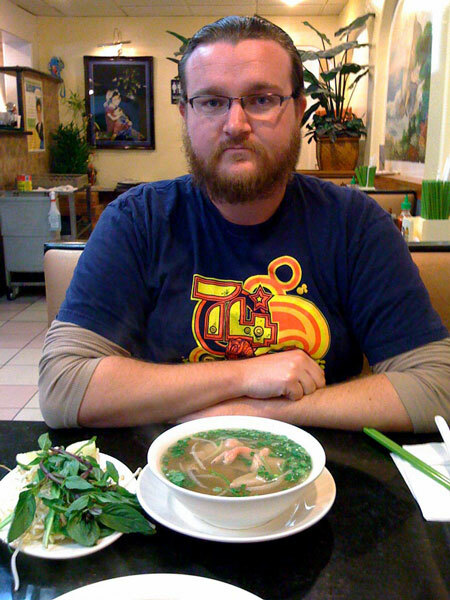 Mason with his pho tai. Don't worry he looks confused but knows what he's doing. Man, I wish I could have joined you guys there. 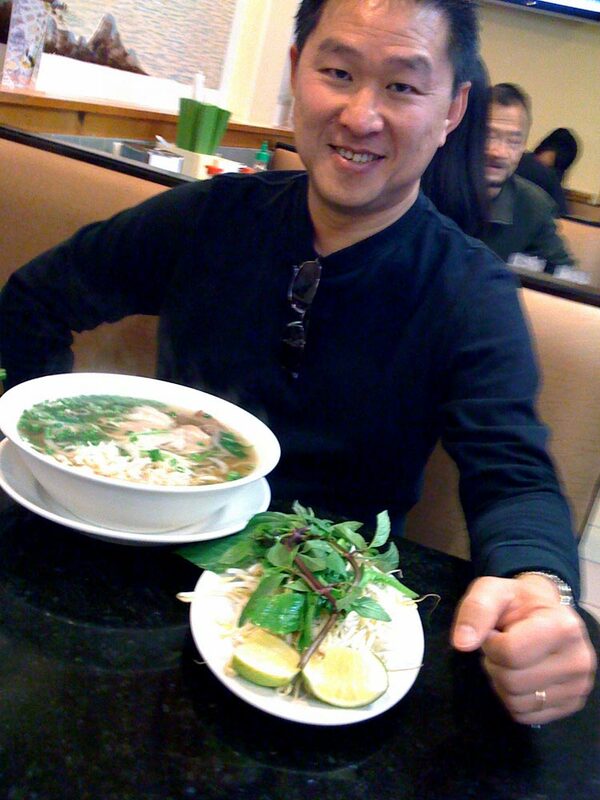 The one time I’ve been there (with you guys) it was some of the best pho around SD. I remember the fresh veggies and amazing broth. Mason looks like he’s straight from the hills of Scot with that beard and pony-tail. He looks like William Wallace’ right-hand man! @Tim. Ah yes. And he’s coming down the hills of Scot straight into SF. Ha ha. He’ll need it. 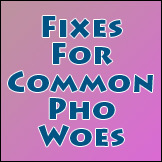 Yes I must agree Express always has good and consistent quality pho. But my points are somewhat low so maybe I need to readjust it. How would you rate it?